Attention to detail turns raw words into professional content. Even the most skilled and creative writer won't consistently produce quality work if the final proofreading stage isn't up to scratch, leaving the resulting CV riddled with errors and inconsistencies. What can you do to boost your proofreading effectiveness when writing a CV? #1 - Take a break between writing and proofreading. The first activity is mainly creative, the second analytic, and it's very difficult to switch seamlessly from one mind-set to the other. If possible, get away from your desk completely for a while. Take a walk, or enjoy a coffee break elsewhere, so that you can approach proofing with a fresh outlook. 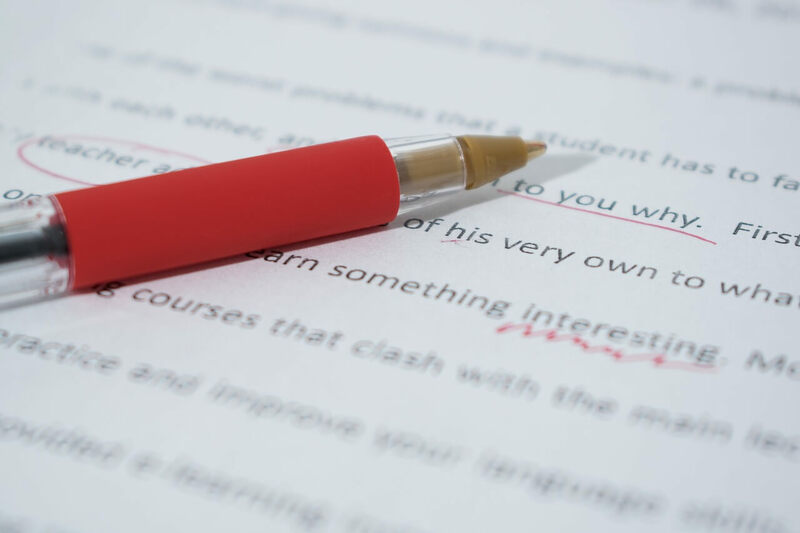 #2 - Make a distinction between editing for style and proofreading for mistakes. Ideally, style issues should be handled as part of your final draft, leaving proofreading to deal with technicalities and errors. #3 - Change the font face, size, or colour of the text away from your usual writing format. This helps to break out of familiarity and makes errors easier to see. #4 - Proofread on another device entirely, maybe in another location, for the same reason. #5 - In your first proofing pass, check for any habitual errors you tend to make. Every writer has weak areas in their technique, so make spotting these recurring problems your first task. #6 - Concentrate on other aspects one at a time - comma placement, run-on sentences, plural issues, and so on. It's easier to uncover mistakes when you have a specific focus. #7 - Reading your text aloud is a tried-and-tested proofreading method. It works well because it not only forces you to take a fresh approach, but if you verbally stumble over a section, it's usually a sign there's a problem with either grammar or readability. #8 - For added effect, try reading your text sentence by sentence in reverse order. This breaks the usual flow of reading, and helps you to notice mistakes in your CV rather than subconsciously correcting them as you go. #9 - Lastly, when you think you've finished proofreading, take at least one more pass, preferably after a few minutes' break in concentration. You're almost guaranteed to spot one or two lingering issues. In addition, we often see CVs where the spell check has been set as US English rather than UK English. This results in words such as: "recognized" instead of "recognise" and "color" instead of "colour". Confusion in the use of "their" and "there"
Not using a capital letter for "I"
Putting "i" and "e" the wrong way round, e.g. "freind", rather than "friend"
Many people find it hard to spot spelling mistakes on their CV when reading text on a computer screen, so it's a good idea to proofread your CV after printing it out on paper. The effectiveness of the words in your CV can be undone by tiny errors and inconsistencies. Successful proofreading adds the final polish that can turn so-so writing into professional, compelling content. Thanks to developers within the writing tools space, there are an increasing number of easy-to-use proofreading tools now available to budding wordsmiths. Check out the following roundup of powerful proofreading tools to see which ones can help improve the calibre of your content. Grammarly is possibly one of the most recognised grammar checkers. Their website claims to be able to identify more than 150 text errors while also highlighting plagiarism. Proofread Bot checks everything from your writing style and grammar to your spelling and punctuation. Simply paste your content into the Proofread Bot analyser and discover details on writing mistakes you have made. ProperNounAlyse was created to pick up inconsistencies in proper nouns, such as John Smith vs Jon Smith. It also highlights the exact number of times each occurs throughout the document. SlickWrite helps to discover grammar errors, sentence structure mistakes, and language choice. Your writing style will improve over time once you start checking your content on a regular basis. Ginger can be installed as an add-on within Microsoft Word. You can test Ginger for free (limited to 600 words) or opt for a monthly / one-off subscription for their premium version. SpellingToolkit creates a copy of the CV you’re working on and highlights all likely misspellings, including English / US-English inconsistencies, such as organise vs organize. NounPlus is intriguing writing tool you can try if you want to improve your grammar and your spelling. NounPlus offers writing suggestions on sentence structure, spelling mistakes, and conjunction errors. A family member, colleague or friend. OK, not a “tool” per-se, but asking a friend, colleague or family member to read over your CV is always a good idea. Proofreading tools can help improve your writing and teach you basic writing skills you might have overlooked. While none of these tools is fool-proof, they can certainly help you become a better writer if you pay attention to the mistakes you make on a frequent basis. Be methodical: concentrate on one line and one word at a time. Cultivate a healthy sense of doubt. If you know you make certain mistakes, keep an eye out for them. Don't start proofreading your CV straight after writing it. Read what is ON the page, not what you THINK is on there (maybe the hardest part of proofreading). Read your CV aloud in a quiet environment, away from any distractions. The employment market is constantly evolving at a rapid pace. A CV that previously secured you an interview years ago might not be working for you in today's market.